Scented Leaf. 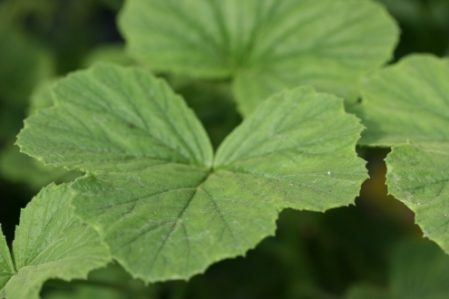 Fresh, apple scented, trilobed leaves, rough to the touch. Branching stems of airy white flowers on long pedicels. 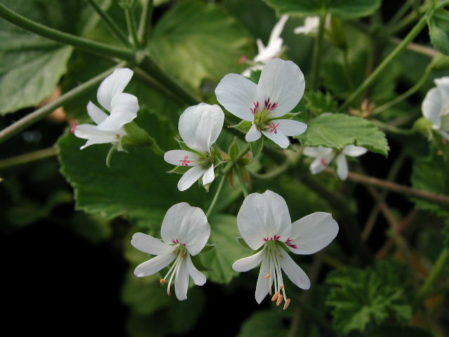 Large rounded top petals, small lower petals, very dainty. Ht. 50cm. Sp. 30cm. Good structure for outdoor containers in the summer. One of Michael Loftus’s favourite Pelargoniums.